It’s not just the skiers, skaters and biathletes out to prove themselves at the 2014 Winter Olympics in Sochi. Microsoft is betting that Windows Azure Media Services will also prove its mettle (medal?) at the games which kick off this week. 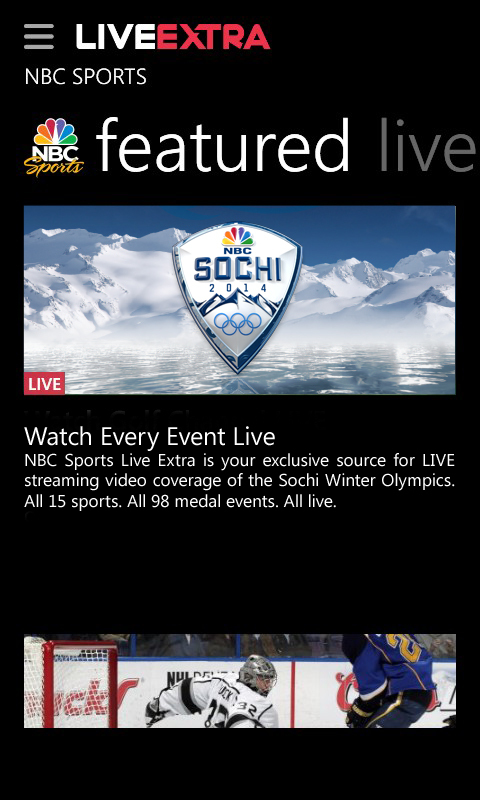 Olympics broadcaster NBC Sports has used Windows Azure for previous events, but this time out the heavy-duty video encoding, in fact the whole live-streaming process — will take place in the cloud, Scott Guthrie, corporate VP of Windows Azure, said in an interview. Live events in general, and the Olympics in particular, are ideal test beds for cloud computing since there tend to be huge bursts of demand and then nada. For NBC Sports, and other broadcasters, the ability to spin up the encoding workloads fast and pay for them just when they run is an attractive alternative to what they had to do in the past, which was to build out all the compute capability and pay for it all even when they only need it for a few weeks. “The real story for us is scale and reliability — Azure buys us multi-region failover and multiple encoders to handle the volume of these events,” said Eric Black, VP of technologies for the NBC Sports Group. NBC Sports worked with Azure for the Beijing and Vancouver games, but those engagements were mostly around the video player, Black said. This partnership, announced in April, puts the soup-to-nuts process of prepping the video and distributing it in the cloud. In addition, Microsoft has built a network of video partners to handle things like compression, streaming conversion, ad placement and other jobs and has expanded its content delivery network (CDN) globally, said Forrester Research(S forr) analyst James Staten. If all goes as planned, consumers will be able to watch all of the events via live streaming or on-demand and from any PC, TV, tablet or smart phone. For the 2012 London Summer Olympics, NBC worked with Youtube(s goog), and while Black would not comment on why the broadcaster changed partners, it’s hard not to see the Olympics as a key and very high-profile test bed for Microsoft’s strategic cloud platform. A much more demanding 2012 Summer Olympics already put Azure to test and turned out well. It clearly states that during London Olympics they used Youtube. Azure delivered 2012 London Olympics to CTV, RTE, France TV and Terra, but not NBC.